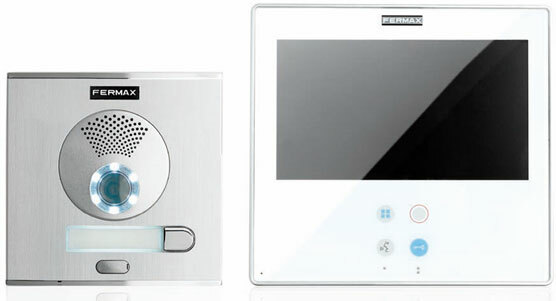 Smile, because FERMAX is presenting its new digital video door entry Smile kits for single family homes, offices and businesses. These Kits include the new surface Smile monitor available for 1 and 2 ways. Two Smile monitor formats, 7” TFT screen or 3,5” TFT screen, allowing you to choose the one which suits your needs best. The Smile kits include all the necessary materials for a complete installation: Cityline panel, a safe choice, resulting from combining a classic aesthetic, robustness and reliability; the Smile monitor and power supply. Open your door with a Smile. 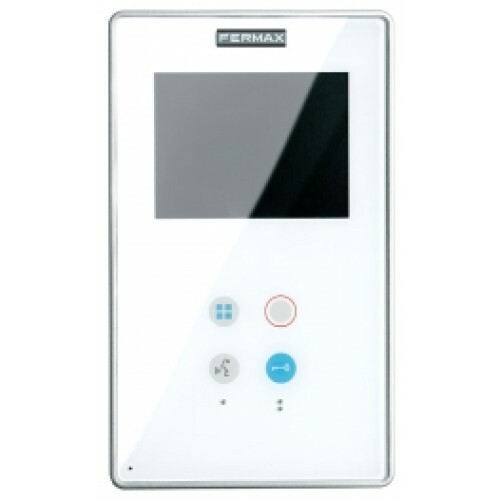 – 2/W City panel and flush box. – 3,5” Smile colour monitor (2 units).